Along with a dedicated national transport service we provide a continental service covering most major Europe destinations including the UK, Belgium, Holland, France, Spain, Italy and Germany. Other destinations can be served depending on the transport specifics – please contact us with your requirements. We’re trusted throughout Europe for our dedicated transport service. But for your added peace of mind, we’re also members of the Irish Exporters Association and we are currently undertaking the FORS accreditation process. 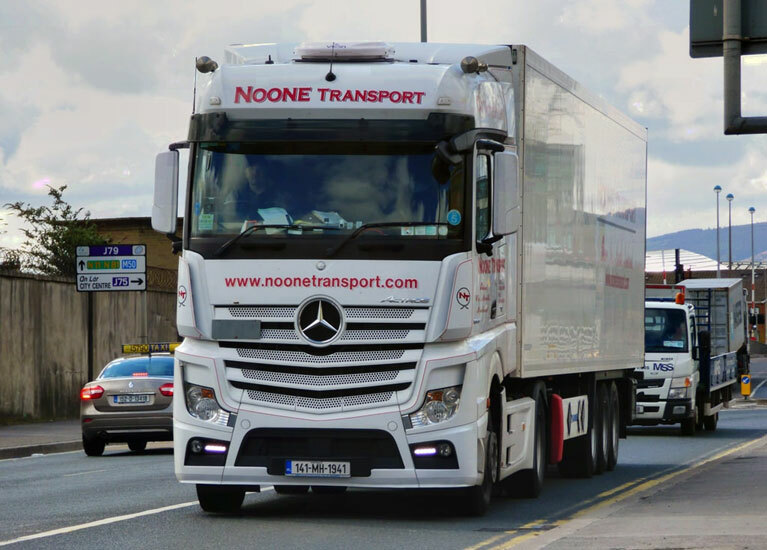 We are committed to ensuring our equipment matches the best on the road and we currently have a quality 43 truck fleet – the vast majority of which (38) operate to Euro VI standards with the remainder (5) operating to Euro V standards. Our drivers are ADR and GDP-certified and so are licensed to carry hazardous goods. They are also aviation security trained enabling them to pick up and deliver from airports too. Our fleet consists primarily of Mercedes tractor units including a recent delivery of 10 new 171 models. 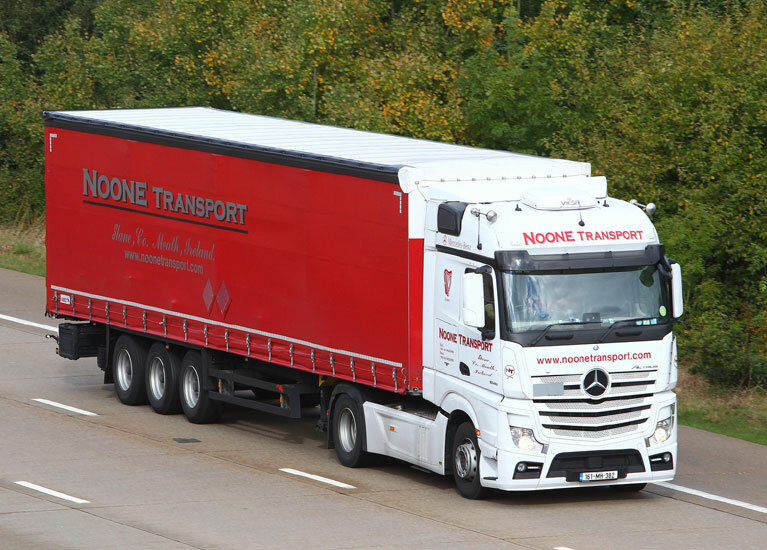 Noone Transport service all industry sectors regardless of product type with particular experience with the food, pharma and retail sectors where we provide both full and part-load transportation on both ambient and temperature controlled secure trailers.